Automation, virtual reality, mobile-friendly technology, improved delivery, and improved payment options are just a few of the e-commerce logistics trends shaping the industry. If your organization is making plans to implement strategies to improve your supply chain and increase revenue, here are some of the trends you should know about for 2019. Automation is a very powerful logistics trend of 2019 that is taking companies by storm. 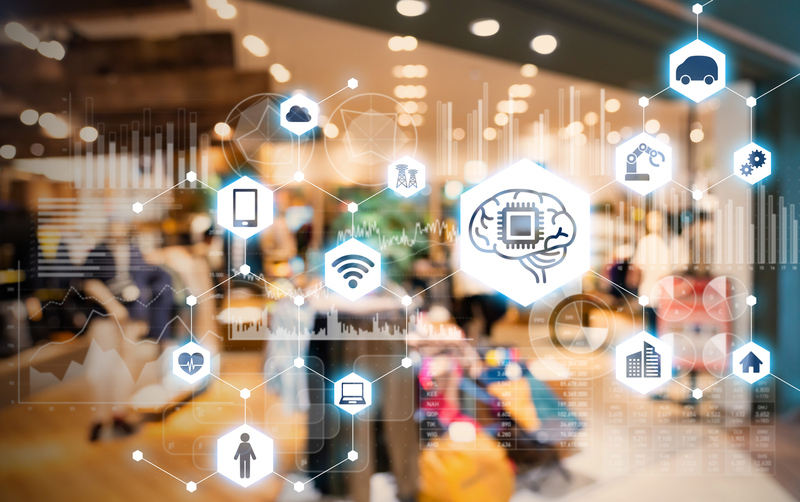 From warehouse operations to customer shopping experiences, automation is used to simplify processes and make them timelier and more efficient. It also cuts down the number of manual processes needed to get the job done. For example, automated sorting systems can optimize logistics operations by reducing the cost of manual labour, giving owners complete control over their organization, reducing human errors, enhancing traceability, and much more. Automation in the supply chain offers numerous benefits and business owners will be able to perform better with it. Brands can also offer multiple payment options and increase safety by using a secured third-party digital payment platform such as PayPal, Apple Pay, or Google Pay. This trend is making it easier and faster for customers to purchase items online, and for e-commerce companies to process these payments. When customers browse the Internet, they are quickly intolerant and uninterested with irrelevant content. 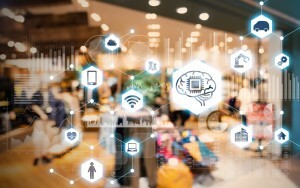 Most shoppers expect retailers to ensure search results and suggestions are accurate, and artificial intelligence can help with this. AI can make semantic search engines more accurate by going beyond correctly-typed keywords. Machine learning technology can recognize typos, spelling errors, synonyms, and product relations to give users precise results. It also offers image and voice recognition software to increase convenience. Predictive analysis is a tool that reads algorithms based on historical and current data and makes forecasts. Organizations can gain a better understanding of how their resources are being used and the flow of goods and products to better prepare for future events. This framework connects trends, patterns, and data associations to help organizations get proactive about future developments. This type of system involves predictive modeling, text analytics, real-time scoring, data mining, and ad-hoc statistical analysis. Today’s customers have high standards for how quickly they want their orders to be delivered. E-commerce companies will need to offer fast and flexible deliveries to prevent customers from abandoning the cart when they receive shipping information and looking elsewhere. Although you may not be able to deliver same or next-day delivery, you can work with a third-party logistics provider to offer shorter delivery times. A 3PL may have multiple warehouses that are closer to your customers, therefore, they will be able to ship out orders and get them delivered faster. Ensuring your web site and shopping cart are mobile-friendly is a must-have in today’s market. Customers frequently use their phones and tablets to shop, and the process is easier with applications and mobile-friendly web pages. Google also rewards sites that are mobile-friendly by ranking them higher on their lists. As the search engine giant continues to upgrade its algorithms, a mobile-first approach has become more valuable and one of the determining factors that puts you in the top-ranking results. Chatbot technology allows a computer program to communicate with customers and online users to provide basic customer support 24-hours a day. The customer experience can also be improved by offering easier checkouts and a personalized shopping journey. Card abandonment is a big obstacle for e-commerce brands to overcome, and the reason is usually because the checkout process is too complicated or slow. Using autofill fields or encouraging first-time shoppers to register or create an account can make future shopping experiences more efficient and reduce the risk of cart abandonment. Finding a way to streamline shipping will help you improve your operations and increase customer service. When you work with a 3PL that offers streamlined shipping as one of its services, you will benefit from teaming up with couriers like UPS, FedEx, USPS, Canada Post, Purolator, and more. By working with a provider that integrates with quality couriers, you can rest assured that the proper information is provided to obtain quality service and reasonable pricing. Many of these providers also use cloud-system software that shows real-time movements in the supply chain, so you always know where your products are. The new year is here and if you haven’t considered how to improve your organization you risk falling behind your competitors very quickly—if you haven’t already! There are a variety of tools and technologies available to improve your operations for greater transparency and efficiency and increase your customer relationships. There’s no time like the present to team up with a provider that offers you excellent, current solutions for your business challenges. Working with a 3PL provider can help you deal with challenges that come along the way in terms of costs, logistics, customer satisfaction, and changing expectations from suppliers and consumers. With their experience and network, they can find you quick and effective solutions to problems like these that may hinder your success. They will also bring you a variety of advantages such as supply chain management software and technology. When you’re ready to make a call, Lean Supply Solutions is ready to help you. We rise to the challenge of meeting our clients’ needs through our services which include product fulfillment, warehousing and distribution, e-commerce fulfillment, warehouse pick and pack, order fulfillment, and more. To learn more about outsourcing to our 3PL logistics services, or to ask any questions, contact us today.